The GMAT is looked at by most large consulting and investment banking companies because they use your score as a baseline qualifier for the recruiting process. If consulting or i-banking are in your sights, this means that the GMAT is the best choice. You could take it once and use your score for both your MBA application as well as your career recruitment profile. In addition, some recruiters outside the i-banking and consulting space may not have a strong preference either way, but they may have more experience assessing skills based on the GMAT. If you choose to take the GRE, you should understand that it is less common among b-school students, and therefore makes it more difficult for recruiters to compare your GRE score against the majority of applicants. The Fine Print: Not all consulting and investment banking firms look at your GMAT – boutique consulting firms, for example, typically do not ask for your score. So this is not a one-size-fits-all rule, but is something to consider if those industries are of interest to you. Sometimes the GRE is the best choice for applicants who are pursuing their MBA in conjunction with another Masters degrees, i.e. our dual degree programs. Taking only the GRE allows you to apply to both programs separately with one score, a convenience factor that most dual degree applicants very much appreciate given how much more paperwork is required to submit applications for two programs. The Fine Print: Some dual degree programs may require another test entirely. For example, the LSAT for MBA/JD degrees (in addition to the GMAT or GRE) so again, not one rule applies to everyone. If you don’t qualify as an applicant pursuing consulting/i-banking or a dual degree, there are still some key differences in the tests that may have some bearing on your decision. A little history lesson: MBA programs only started accepting the GRE as an alternative to the GMAT within about the last decade. 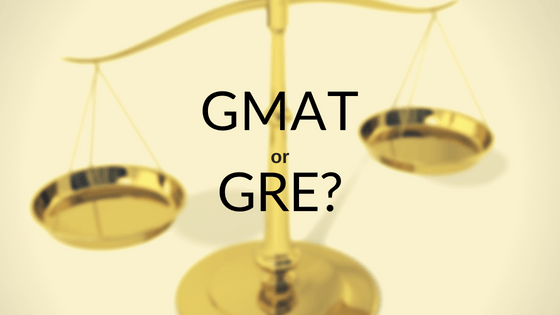 Alumni and hiring companies are simply more familiar with the GMAT and its score scale. With the GRE newer on the scene, they may need clarification regarding what the GRE score actually means and how the quantitative and verbal score sections may translate to the GMAT scores they are used to. The Fine Print: The number of GRE scores received by our admissions office has slowly increased over the past several application cycles. So while the GMAT is still the prevalent exam within the MBA applicant pool, the GRE is becoming more common. Thus, the tide may be shifting as more alumni and companies become comfortable with GRE scores. Finally, if you don’t fall into any of these buckets and are still trying to decide what exam is best for you, take some practice tests! There’s a chance you may be more comfortable with one test format over the other. At the end of day, the choice of which exam to take is yours. Build in study time and leave yourself enough room on the calendar to retake an exam if necessary. You want to submit your application as confidently as possible, and with a score you feel good about. For more information on graduate entrance testing, please see our GMAT/GRE series. 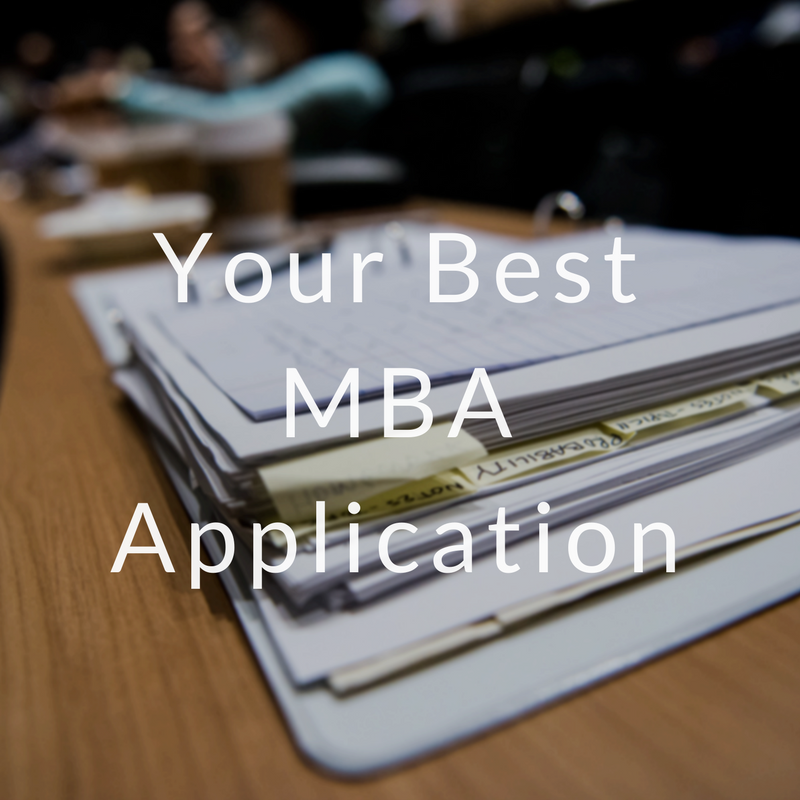 And if you have any questions not answered in these articles, reach out to the MBA Admissions Committee.